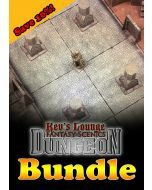 The incredibly popular Kev's Lounge Huge Dungeon Tile set. 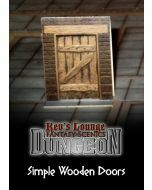 Contains a wide variety of papercraft dungeon tiles and markers, and is completely free! You really need to add this one to your collection! 1 x 40' x 10' Dungeon Room End Section Tile, 1 x 40' x 10' Dungeon Room Mid Section Tile, 3 x Bear Trap Hazards, 2 x Sprung Bear Trap Markers, 1 x Net Snare Hazard, 1 x Bear Trap Cluster Hazard. 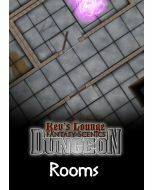 2 x 20' x 20' Dungeon Room Corner Section Tiles, 2 x 10' x 10' Dungeon Balcony Corner Section Tile, 1 x Potted Plant Obstacle Marker, 2 x Persian Carpet Markers. 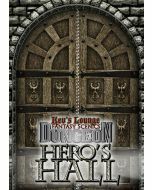 2 x 20' x 20' Dungeon Room Corner Section Tiles, 2 x 10' x 10' Dungeon Balcony Corner Section Tile, 1 x Steps Marker, 4 x Drain Grate Markers. 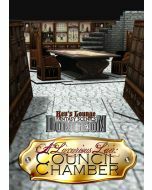 2 x 20' x 20' Dungeon Room Edge Section Tiles, 2 x 10' x 10' Dungeon Balcony Edge Section Tile, 1 x Trapdoor Marker, 4 x Doric Column Obstacle Markers. 2 x 20' x 20' Dungeon Room Edge Section Tiles, 2 x 10' x 10' Dungeon Balcony Edge Section Tile, 2 x Collapsed Doric Column Obstacle Markers, 2 x Doric Column Obstacle Markers. 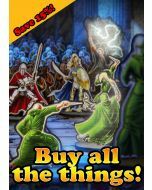 1 x 20' x 20' Dungeon Room Mid Section Tile with Mosaic, 1 x 20' x 20' Dungeon Room Mid Section Tile with Fountain, 1 x Stair case, 4 x Praying Pilgrim Statue Obstacle Markers, 2 x Collapsed Pilgrim Statue Obstacle Markers.